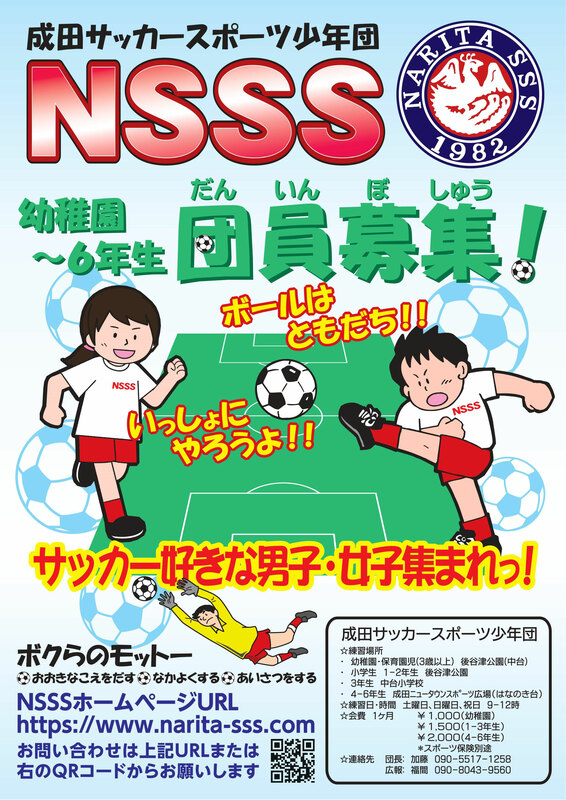 NSSS is a junior soccer team for ages 3 to 12 in Narita City. The purpose of the team is to provide opportunities for participants to learn about soccer and team play, develop sportsmanship, and create a foundation for a lifelong enjoyment of athletics. Please confirm the schedule in advance with phone or email in below because of the schedule will be changed by games, training much or day off.